A remarkable number of non-residents own property in South Africa. 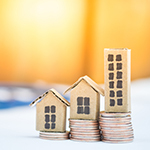 While non-residents are not subject to South African capital gains tax generally, an exception is to be found where non-residents dispose of South African immovable property, or shares in “South African property rich” companies. A obvious practical difficulty arises though for SARS to collect taxes from non-residents once they have sold their properties and have no further connection with South Africa. There is very little SARS can do to collect a tax debt from such non-residents, let alone compel them to file the necessary tax returns. 10% of the selling price where the seller is a non-resident trust. In clause 10(1) of the draft Rates and Monetary Amounts and Amendment of Revenue Laws Bill, which was released concurrently with the Annual National Budget earlier this year, it is proposed that the rates above be increased to 7.5%, 10% and 15% respectively and effective to disposals of immovable property from 22 February 2017. While ultimately the withholding obligation lies with the purchaser paying the purchase amount, a conveyancer or estate agent may also be liable where the withholding tax is not withheld from payments made to the non-resident seller. As referred to above, the withholding tax is not a final tax and its purpose is merely to secure the ultimate capital gains tax liability that may ultimately be due (and which would in most circumstances be substantially less the amount withheld). 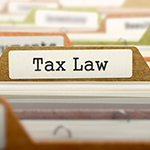 To the extent that a lesser amount is due in the form of a capital gains tax exposure for the non-resident, the balance overpaid is refunded to the seller upon submission of an annual income tax return. 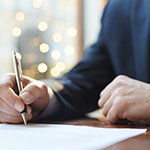 (d) whether the actual liability of that seller for tax in respect of the disposal of the property is less than the amount required to be withheld. Since the provisional tax season has arrived, it is important to remember the rules regarding your estimates. The provisional tax payment must be received by SARS on or before the due date, 28 February 2017. Failure to do so could result in penalties and interest imposed by SARS. Provisional tax is a method of paying tax due, to ensure the taxpayer does not pay large amounts on assessment, as the tax liability is spread over the relevant year of assessment. It requires the taxpayers to pay at least two amounts in advance, during the year of assessment, which are based on estimated taxable income. 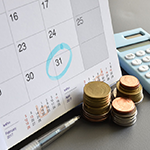 A third payment is optional after the end of the tax year, but before the issuing of the assessment final liability is worked out upon assessment and the payments will be off-set against the liability for normal tax for the applicable year of assessment. Provisional tax payments are calculated on estimated taxable income, which includes taxable capital gains for the particular year of assessment. It is imperative that if you have earned a capital gain during the current year that you declare it for provisional tax purposes. In the event that you do not advise us of a capital gain that should be included in provisional tax, an understatement penalty may very well be levied by SARS. There are certain penalties for underpayment of provisional tax, which will be levied by SARS. If your actual taxable income is more than R1 million a penalty will be levied if the second period estimate is less than 80% of actual taxable income. If your actual taxable income is equal or less than R1 million a penalty will be levied should the second period estimate of taxable income for the year of assessment deviate from the basic amount applicable to that period. A penalty of up to 20% of the underpayment may be charged by SARS. Interest will be charged on all late payments. Should your payment not reach the South African Revenue Service on or before the due date, a penalty of 10% will be levied on outstanding amounts and/or SARS will consider your estimated income for the 2nd provisional tax payment to be zero and will apply the relevant penalties.